Verint Systems Inc. announces several enhancements to its Situational Intelligence Platform that help organisations strengthen their security strategies while providing Actionable Intelligence to improve operations. Sitting at the core of the Intelligent Security Operations Center (ISOC), the Situational Intelligence Platform provides a suite of integrated features that enable complete situational control in complex security environments. This integrated, modular and flexible platform drives a better user experience, facilitates real-time monitoring, provides greater situational awareness, and helps security teams respond faster and more efficiently to situations when they occur. Face mounting business These innovations are critical because cyber and physical security threats are becoming more prevalent while data is growing exponentially Customers and the market at large face mounting business and security challenges, and that has propelled Verint to infuse more analytics and automation into its Situational Intelligence Platform. These innovations are critical because cyber and physical security threats are becoming more prevalent while data is growing exponentially, driving organisations to seek more advanced solutions to better address risk. Security managers and operators rely on a multitude of solutions and systems to ensure comprehensive protection, which results in an enormous volume of data to analyse. This influx of information can often be overwhelming, and in most cases, manual processes are needed to manage an event across all security components for full awareness, which is a significant barrier to automation. Predictive threat model Verint’s ISOC concept is designed to address this challenge head on. The ISOC aggregates multiple systems into a single interface and exposes it to an analytic layer that results in the delivery of Actionable Intelligence. The ISOC facilitates utilisation of artificial intelligence (AI) and machine learning to analyse data across an enterprise’s domains and assess how it impacts the business as a whole. By unifying data to enable the detection and identification of risks, enterprises can move to a more predictive threat model. Verint’s Situational Intelligence Platform consists of several modules that can be implemented separately or as part of the integrated platform. Intelligence-powered response One of the platform enhancements announced is VMS One. With this enhanced module, users gain a single, consolidated platform for the ISOC with video at the center and seamless correlation of sensors and alarms, allowing operators to immediately gain complete situational control while determining the appropriate intelligence-powered response. In addition to VMS One, the enhanced platform provides new capabilities in the Dispatch, FaceDetect and Incident Management modules The solution fuses all relevant information, such as video, alarm notification, device state, analytics meta-data, search output and more, onto a dynamic GIS-map based interface, providing a clear and immediate picture of an incident and enabling faster and more efficient response. In addition to VMS One, the enhanced platform provides new capabilities in the Dispatch, FaceDetect and Incident Management modules. Intelligent security strategy “As threats continue to grow in complexity, mission-critical organisations face significant challenges,” said Alan Stoddard, vice president and general manager, situational intelligence solutions, Verint. “Each component of our suite of solutions is a critical part of our intelligent security strategy developed to address customer requirements for a more effective, intelligent approach to security operations and risk management. Now, our customers are equipped with comprehensive options designed to further synchronise IT, cyber, and security operations across infrastructures and proactively address and mitigate modern-day threats.” Global businesses operate in complex environments in which opportunities, requirements, and regulations can vary widely, change quickly, and evolve significantly over time. New technologies will continue to improve business operations, enhance strategic partnerships, and increase situational awareness. All of this is part of the effort to gain a more predictive risk model within the enterprise to prevent rather than react. To learn more about Verint solutions for the ISOC, visit Verint solutions at booth #26049 during the ISC West conference in Las Vegas, April 10-12. HID Global, a global provider of trusted identity solutions, will showcase new offerings, an industry-changing access control tool and new integrations in HID booth #11063 at this week’s ISC West in Las Vegas. The company will also participate in Security Industry Association (SIA) educational sessions and local community events during the conference. Visit the HID in booth at the Sands Expo and Convention Center from April 10-12, 2018 for live demonstrations of the company’s latest solutions that address specific needs for issuing, authenticating, managing and monitoring trusted identities. Launch of fingerprint reader HID Global has launched its new fingerprint reader that merges credential excellence with HID’s globally-patented multispectral imaging technology to fuel broad adoption of biometrics at the door. The high-performance iCLASS SE RB25F fingerprint reader provides an unrivalled experience by dramatically increasing image capture performance and fingerprint matching in under a second. The new integration of HID SAFE Enterprise, a centralised platform for identity management, with the revolutionary cloud-based card issuance solution HID FARGO Connect takes seamless on-boarding and credential issuance to a new level. HID SAFE’s award-winning physical identity and access management solution allows identity information to be captured from physical access control systems, active directory, HR, and other external systems so that it can be pre-loaded prior to printing a credential. Capture data and securely print cards HID FARGO Connect enables organisations to easily design cards as well as capture data and securely print cardsPremiering at ISC West, demonstrations will highlight how the integration of HID FARGO Connect further streamlines the onboarding process. HID FARGO Connect enables organisations to easily design cards as well as capture data and securely print cards—all with a single click from any device and from anywhere across multiple printers or locations. HID has teamed with the world’s top turnstile manufacturers to bring mobile access to lobby security. Six leading turnstile manufactures exhibiting at this year’s ISC West exhibition have integrated the new Essex Electronics iROX-T with embedded iCLASS SE technology from HID. Each company is showcasing mobile access in their booths to illustrate how mobile is upping the convenience factor at the turnstile. HID will also feature partner solutions that showcase elevator access control for a completely connected and more secure lobby experience that is powered by HID technology. Integrating AR and access control HID has married augmented reality (AR) and access control as part of its commitment to continually make it easier to do business with HID Global. Visit HID’s booth to learn more about how its new AR technology capabilities are changing the game in access control. Wednesday, April 10, 2019: Bill Spence, Vice President of Sales – Extended Access Technologies with HID Global will participate in a panel discussion on ‘How Biometrics are Enabling the Convergence of Physical and Information Security’ at 1:45 PM – 2:45 PM in Sands 201. Thursday, April 11, 2019: HID Global will participate in a panel discussion on future trends, organised by the Latin American Security Association and conducted in Spanish from 9 AM – 10AM in Salon 1001. HID will also participate in a panel on successes and lessons learned from a recent deployment of mobile readers with HID technology at a bioindustry leader during a Spanish-language session at 2:00 PM in Casanova 602. Teaming up with Mission 500 HID is participating in a number of charitable events with the Las Vegas community during ISC West, in partnership with Mission 500, a non-profit organisation that works closely with the security industry to provide aid to children and families living in poverty in the US. Rosehill Security, a global manufacturer of perimeter security solutions, announces a distribution agreement with ARX Perimeters (ARX) that will make its innovative range of hostile vehicle mitigation (HVM) barriers and perimeter security products available in the US market for the first time. Specialising in the provision of layered perimeter protection for events and critical infrastructure, Illinois-based ARX will expand its range of mobile perimeter solutions to include Rosehill Security’s Impakt Defender and Rapid Defender vehicle security barriers (VSB), Ballistic Blocks and Anti-Trespass Panels. Under the terms of the agreement, ARX will have exclusive rights within both the direct sales and hire markets. Perimeter security products “We’re excited to get started and grow the profile of Rosehill Security in the US together. Everyone at ARX is passionate about offering the best solutions to meet our clients’ needs, so Rosehill Security’s perimeter security products are an excellent addition to our current product range. Above all else, if it means that we can protect more people from vehicle as a weapon attacks on a larger scale across America, then this agreement will prove invaluable,” said Ben Shipper, President at ARX. Rosehill Security’s surface mounted Rapid and Impakt Defenders can be installed almost anywhere Manufactured from 100% recycled rubber, bonded with polyurethane for strength, Rosehill Security’s surface mounted Rapid and Impakt Defenders can be installed almost anywhere, from cambered road surfaces surrounding stadiums to uneven festival sites. Their unique modular design enables them to be integrated with other mobile perimeter and high-security fence systems, creating additional layers of protection that can be vital in today's ever-changing security climate. Physical security planning Additionally, both VSBs can be deployed with Rosehill Security’s pedestrian and vehicle portals to create single or multiple access points without compromising the perimeter’s integrity. These portable modular portals are designed with speed of installation in mind, making them ideal for short-term deployment at temporary events. “While vehicle borne attacks continue to pose a significant threat across the world, it’s more important than ever to consider HVM measures within physical security planning, particularly at events that attract large fluid crowds. The speed and ease with which our products can be deployed makes them an ideal addition to ARX’s existing product range. We’re delighted to be partnering with a dynamic company like ARX as we look to establish Rosehill Security and its products across the Atlantic,” said Dalton Marshall, Sales Manager at Rosehill Security. Metrasens, a provider of advanced ferromagnetic detection technologies, announced that it will be unveiling the next generation of its mass casualty threat detection solution, Proscreen 900 Plus, at ISC West 2019 in Las Vegas. The new solution bolsters Metrasens’ impressive ferromagnetic screening product line and provides a higher level of security for stadiums, arenas, event venues, hotels, campuses and other areas where security is paramount. Proscreen 900 Plus demonstrates Metrasens’ commitment to innovation in the security sector and focus on delivering screening and detection technology backed by rigorous weapons testing and analysis. The result is high throughput, highly effective detection of large mass casualty threat items without the burden of divestiture. Proscreen 900 Plus helps mitigate the damage potential of bad actors in a mass casualty attack, and is ready to deploy today"In detailed weapons testing against a series of long barrelled firearms, the dual-screening methodology of Proscreen 900 Plus demonstrates an unmatched detection rate and throughput rate of 50-60 individuals screened per minute (3,000–3,600 per hour). With Proscreen 900 Plus, the screeners are placed at the outer perimeter of a facility or venue, detecting potential threats before any attacker can reach security chokepoints. Innovative technology to protect people “We live in a time where security for facilities and event venues has never been more important,” said Jim Viscardi, Metrasens Vice-President of Global Security. “Proscreen 900 Plus helps mitigate the damage potential of bad actors in a mass casualty attack, and is ready to deploy today. Our goal at Metrasens is to use innovative technology to protect people as best we can. With Proscreen 900 Plus, we are taking another step forward to making the world a safer place.” Maintaining Metrasens’ signature portability and battery-powered operation, Proscreen 900 Plus is a versatile solution for use in a wide variety of CONOPS. Customers will benefit from Metrasens’ high level of support, including site evaluations and assessments in working with partners and their business. Proscreen 900 Plus offers unobtrusive integration into surroundings so as not to disrupt the atmosphere In addition to detection capabilities and deployment versatility, Proscreen 900 Plus offers unobtrusive integration into its surroundings so as not to disrupt the atmosphere of its environment. This feature will appeal particularly to customers where subtlety is essential in maintaining a positive guest experience. Deployed for healthcare and data security Metrasens is a pioneer in the use of ferromagnetic detection technology in commercial products and continues to produce innovative solutions with deep expertise in ferromagnetic technology development. Metrasens ferromagnetic technologies have been deployed in 46 countries across a variety of markets, including corrections, healthcare and physical data security. By striving for excellence in its mission for safety, the Metrasens team considers its innovation in security solutions to be more than just a job. Interested parties can visit Metrasens at ISC West 2019 at the Sands Expo Center in Las Vegas from April 10-12, booth #11143. Metrasens will be providing hands-on demonstrations of Proscreen 900 Plus. It will also be exhibiting its award-winning physical data security solution, Proscreen 500, which is ideal for data centres and government facilities to combat data theft. The industry faces numerous challenges in the coming year. Physical and cyber security threats continue to become more complex, and organisations are struggling to manage both physical and digital credentials as well as a rapidly growing number of connected endpoints in the Internet of Things (IoT). We are witnessing the collision of the enterprise with the IoT, and organisations now must establish trust and validate the identity of people as well as ‘things’ in an environment of increasingly stringent safety and data privacy regulations. Meanwhile, demand grows for smarter and more data-driven workplaces, a risk-based approach to threat protection, improved productivity and seamless, more convenient access to the enterprise and its physical and digital assets and services. Using smartphone apps to open doors Cloud technologies give people access through their mobile phones and other devices to many new, high-value experiencesEnterprise customers increasingly want to create trusted environments within which they can deliver valuable new user experiences. A major driver is growing demand for the ‘digital cohesion’ of being able to use smartphone apps to open doors, authenticate to enterprise data resources or access a building’s applications and services. Cloud technologies are a key piece of the solution. They give people access through their mobile phones and other devices to many new, high-value experiences. At the same time, they help fuel smarter, more data-driven workplace environments. With the arrival of today’s identity- and location-aware building systems that recognise people and use deep learning analytics to customise their office environment, the workplace is undergoing dramatic change. Improved fingerprint solutions Cloud-based platforms and application programming interfaces (APIs) will help bridge biometrics and access control in the enterprise, overcoming previous integration hurdles while providing a trusted platform that meets the concerns of accessibility and data protection in a connected environment. At the same time, the next generation of fingerprint solutions will deliver higher matching speed, better image capture quality and improved performance. The next generation of fingerprint solutions will deliver higher matching speed, better image capture quality and improved performance Liveness detection will ensure that captured data is from a living person. Biometrics authentication will also gain traction beyond access control in immigration and border control, law enforcement, military, defence and other public section use cases where higher security is needed. Flexible subscription models Access control solutions based on cloud platforms will also change how solutions are deployed. Siloed security and workplace optimisation solutions will be replaced with mobile apps that can be downloaded anywhere across a global ecosystem of millions of compatible and connected physical access control system endpoints. These connections will also facilitate new, more flexible subscription models for access control services. As an example, users will be able to more easily replenish mobile IDs if their smartphones are lost or must be replaced. Generating valuable insights with machine learning Machine learning analytics will be used to generate valuable insights from today’s access control solutionsEducation, finance, healthcare, enterprise, and other niche markets such as commercial real-estate and enterprises focussed on co-working spaces will benefit from a cloud-connected access control hardware foundation. There will be a faster path from design to deployment since developers will no longer have to create an entire vertically integrated solution. They will simply add an app experience to the existing access control infrastructure. New players will be drawn to the market resulting in a richer, more vibrant development community and accelerated innovation. Data analytics will be a rapidly growing area of interest. Machine learning analytics will be used to generate valuable insights from today’s access control solutions. Devices, access control systems, IoT applications, digital certificates and location services solutions, which are all connected to the cloud, will collectively deliver robust data with which to apply advanced analytics and risk-based intelligence. As organisations incorporate this type of analytics engine into their access control systems, they will improve security and personalise the user experience while driving better business decisions. Attendance has been growing steadily year-over-year for ISC West, and the 2018 show exceeded 30,000 total industry visitors for the first time. So it’s safe to expect ISC West 2019, April 10-12 at the Sands Expo in Las Vegas, will be bigger than ever. Preregistration for the 2019 show is on track to bring even more visitors than last year. “This is a show for everyone, for converged security,” says Mary Beth Shaughnessy, Event Director for Reed Exhibitions. “We bring a lot of different verticals together with IT and network security, physical security and robots and drones. 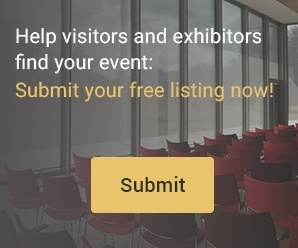 It’s one-stop shopping and the number one security show in North America.” Identifying buying influencers The event organisers of ISC West make a concerted effort to bring the industry’s top buyers to the show The event organisers of ISC West make a concerted effort to bring the industry’s top buyers to the show. The ISC West Executive’s Club is a ‘top buyer program’ created to welcome high-level buying influencers who have current projects in the pipeline. 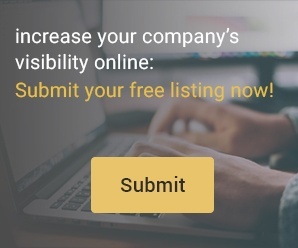 The program works throughout the year, networking, researching and identifying buying influencers among end users, integrators, dealers/installers and consultants who are working on current projects. Approximately 1,300 attendees are participating in the program this year. An Executive’s Club member might be an integrator working with several large projects or represent a school system that is building a new campus or retrofitting their systems. During the trade show, these guests get the VIP treatment with a variety of benefits, including a lounge, cocktail receptions, and continental breakfasts. Personalised matchmaking programs ISC West also provides personalised matchmaking programs to bring together these buyers with companies that can meet their needs. The Executive Club members are also led on guided exhibit hall tours, based on product interest, that highlight new and innovative solutions. The program also contributes to ISC West’s goal to grow its end user audience. In this case, it is a group of eager buyers with immediate needs. Another growing aspect of ISC West is its role shaping exhibiting companies’ technology roadmaps, in particular the timing of new product releases. Many new products and technologies are announced at ISC West, and attendees are conditioned to attend the show to see what’s new in the marketplace. “Vendors try and work to get whatever solutions they are promoting together in time for ISC West,” says Shaughnessy. “Vendors know that attendees have fresh budgets and new initiatives early in the year.” Network security products ISC West will partner with the Security Industry Association (SIA) to make educational sessions available April 9-11 ISC West showcases the latest products, services, and technology including access control, video surveillance, disaster recovery, IT security products, network security products, wireless security products, and thousands more helping ensure safety by giving attendees the right tools and defenses to protect against security risks. In addition to the exhibition, ISC West will partner with the Security Industry Association (SIA) to make educational sessions available April 9-11. SIA Education@ISC will kick off the day before the start of the exhibition. The comprehensive program includes 85+ accredited sessions covering a range of industry topics aimed at providing the critical knowledge attendees need to protect and defend against developing threats in today's security landscape. Recent technology advances – from the cloud to artificial intelligence, from mobile credentials to robotics – will have a high profile at the upcoming ISC West exhibition hall. Several of these technologies were recently designated by the Security Industry Association as the Top 8 security technologies for security and public safety. Some of them will also be a focus at the ISC West conference program, SIA Education@ISC, April 9-11 at the Sands Expo Center. This article will highlight some of those conference sessions. Topic: Cloud Systems and Video Surveillance as a Service (VSaaS) Managed Video Services are saving TD Bank $500K annually, April 9, 2:45 to 3:45 p.m. Why TD Bank decided to roll out a managed services solution, what it took to deploy and how the bank is saving an astounding $500,000 annually. IT 4.0 and Video Surveillance: A Guide to the New Terminology and What It Means to You and Your Customers, April 11, 1:15 to 2:15 p.m. How IT 4.0 can enhance or change video surveillance, and consequently deliver additional value to customers, including explanations of terms such as cloud data centers, personal clouds, the edge, IoT sensors and data analytics. One of the sessions to cover how IT 4.0 can enhance or change video surveillance, and consequently deliver additional value to customers Topic: Artificial Intelligence (AI) In Video and Other Systems The Challenges and Opportunities of AI in Physical Security, April 10, 3:45 to 4:45 p.m. Looking toward what the future may hold for AI in physical security; the challenges and opportunities the technology has created; and how participants can leverage AI and machine learning with existing customers to grow their business. Deep Learning Demystified: Next-Generation AI Applied to Video, April 11, 9:45 to 10:45 a.m. Dispelling the myths of the terms “deep learning” and “artificial intelligence,” and what the technologies can do in practical terms. Modern cameras find and identify faces and vehicles, analyse behavior and organise and control assets Neural Processing and Smart Cameras, April 9, 8:30 to 10 a.m. Deep learning-capable hardware is evolving at a frantic pace, and GPU and NPU (neural processing unit) co-processors are commonly embedded in cameras and video management systems. Modern cameras find and identify faces and vehicles, analyse behavior and organise and control assets. Analytics in the Video Central Station: Proper Deployment, Programming and Configuration to optimise operational and cost efficiencies, April 11, 3:45 to 4:45 p.m. How analytics plays a critical role in reducing alarm traffic in a central station environment, allowing them to save money and realise other operational and performance efficiencies. Topic: Robotics and Autonomous Devices Robotic Aerial Security – Growth Trends and Best Practices, April 10, 11 a.m. to noon The lion’s share of growth in the robotic aerial security sector will come from autonomous systems and changing FAA regulations will soon allow companies to monitor and secure remote facilities with no human guards present. Racing drones are difficult to detect as they do not use GPS or radio frequency signals to identify the location of other devices How to Adapt to Address Drone Security, April 11, 1:15 to 2:15 p.m. Drone industry professionals and a physical security design engineer will cover the realistic applications of drone systems and counter-drone solutions that can protect organisations and facilities. Next Generation Threat: Racing Drones, April 11, 2:30 to 3:30 p.m. Racing drones are difficult to detect as they do not use GPS or radio frequency signals to identify the location of other devices. This session will identify the potential risks these drones can pose to facilities, special events, and critical infrastructure. Establishing a Corporate Drone Program, April 10, 9:45 to 10:45 p.m. Is a corporate drone program an appropriate addition to an existing security program? How to understand and navigate the regulatory challenges and processes associated with starting up a commercial-use drone program. The Rise of Intelligence in Physical Security, April 11, 9:45 to 10:45 a.m. “Intelligence” incorporates a variety of subdomains from artificial intelligence to machine learning and contextual analysis. It is rapidly becoming a focus in the realm of IT security – and increasingly in the realm of physical security, too. Changing FAA regulations will soon allow companies to monitor and secure remote facilities with no human guards present Topic: Mobile Credentials Finding Their Place in Access Control How Biometrics Are Enabling the Convergence of Physical and Information Security, April 10, 1:45 to 2:45 p.m. At the center of convergence is one crucial building block: strong irrefutable identity powered by biometrics. Driving the Future: How Interoperability Standards in Access Control Can Enable Smart Building Success, April 9, 1:30 to 2:30 p.m. Growing user demand is driving new open platform approaches and the adoption of interoperability standards Growing user demand for unfettered and unlimited third-party integrations is now driving new open platform approaches and the adoption of interoperability standards. They are changing the dynamic of access control and its role within the smart building environment. Topic: Facial Biometrics in Professional Solutions How Biometrics Are Enabling the Convergence of Physical and Information Security, April 10, 1:45 to 2:45 p.m. Securing workstations, virtual desktops, turnstiles, front doors, mobile devices and more, biometric authentication is helping enterprises and governments worldwide to realise a more secure future. Topic: Voice Control in the Smart Home Environment Delivering the Smart Home of the Future, April 11, 3:45 to 4:45 p.m. With the proliferation of connected smart devices, including voice control devices, consumers have a growing array of options for defining what their Smart Home experience could be. ISC West in Las Vegas is the first of several major security trade shows planned for 2019 as part of the Reed Exhibitions ISC Security Events portfolio. Next up will be Expo Seguridad México in May in Mexico City, followed in June by ISC Brasil in Sao Paolo, and ISC East this fall in New York. Expo Seguridad México, May 7-9, will serve the important Mexican market for security goods and services. In Mexico City alone, a large population translates into plenty of buildings and facilities that need protection; security is a big concern and a large market. Concerns about information security, cybersecurity and convergence are also dominant topics. Benefitting from a revised trade agreement with the United States, Mexico offers a favourable business climate and low costs. In addition to video and other hardware products familiar at the U.S. show, Expo Seguridad also includes a large public safety/police component, a workplace, environmental and industrial safety sector, and fire products, offering a broad range of additional product categories. Developing knowledge of attendees The FISSE (Innovation and Solutions of Security) conference room will have cybersecurity and electronic security speakersOn the exhibition floor will be the VIII International Conference for the Administration of Security and Law Enforcement, which will bring together renowned specialists in the security and public safety sector. Free conference track rooms will be provided on the exhibition floor to develop knowledge of attendees in various business areas. The FISSE (Innovation and Solutions of Security) conference room will have cybersecurity and electronic security speakers. Manufacturers, distributors, integrators, and national and international end users have come together at Expo Seguridad since 2002 to interact and exchange knowledge during the three days dedicated to the security industry. Expo Securidad México provides access to more than 350 exhibitors and the opportunity to interact, connect and develop face-to-face relationships with more than 16,300 security and public safety decision-makers. This year, Daniel Linskey, former Boston police chief, will provide a welcome speech at the opening ceremony and will share his experience and thoughts about the 2013 Boston Marathon bombing. Exhibition of public safety equipment The exhibit encompasses a selection of public safety equipment and vehicles, body armour, and counter-terrorism solutionsISC Brasil, June 25-27, offers a combination of physical security and emerging information and cybersecurity elements. An Infosecurity pavilion on the show floor and related conference track sessions highlight growing concerns in the marketplace. A large meeting of Brasil’s law enforcement commanders is collocated with ISC Brasil, and the exhibit encompasses a selection of public safety equipment and vehicles, body armour, and counter-terrorism solutions. A strong VIP attendee program ensures attendance by high-level decision-makers with money to spend. The ISC Brasil Congress is an educational program for continuing professional education and technical training for corporate end users, police commanders, distributors, integrators, law enforcement officials, security consultants, IT and public safety managers. Of the expected 18,000 attendees, some 53% come from corporate end users in several vertical industries. Some 21% of attendees are commercial system integrators, with 9% central monitoring systems and 5% law enforcement and public authorities’ safety. Security for oil and gas companies Brasil’s economy has been improving steadily after a rough patch, and the ISC Brasil show has seen an uptick for the last two yearsBrasil’s economy has been improving steadily after a rough patch, and the ISC Brasil show has seen an uptick for the last two years. Brasil’s huge economy includes big industries that need lots of security – oil and gas companies, and automotive production are among the contributors to economic growth. Attendee and exhibitor satisfaction is strong for ISC Brasil, and the show is on a new growth path as the economic situation in Brasil continues to improve under a new president. Large exhibitors at ISC Brasil include Bosch, Genetec, Hikvision, Dahua, HID Global, Honda, Yamaha, and Microsoft. Large Reed Exhibition offices in Mexico City and São Paulo manage the Latin American events and work with local partners, marketing organisations and clients. Emerging Technology Zone ISC East in New York, Nov. 20-21, continues to build momentum in 2019 after a successful 2018 show that saw double-digit growth both in exhibition space and attendance. Reed Exhibitions’ Infosecurity/ISACA North America Expo and Conference will again be collocated with ISC East, expanding information security and cybersecurity horizons for attendees. (ISACA is an international professional association focussed on IT governance.) New at ISC East in 2019 will be an Emerging Technology Zone, providing a high profile for emerging technology companies at the show New at ISC East in 2019 will be an Emerging Technology Zone comparable to the one at ISC West, providing a high profile for emerging technology companies at the show. The Unmanned Security Expo, a big success last year, will be even bigger in 2019 with more exhibits than ever. There are good signs on the horizon for greater use of drones and robotics. Protection for enterprises ISC East has traditionally focussed on the ‘tri-state’ area around New York City – New York, New Jersey and Connecticut – an area rich in end user companies, especially in financial services, retail, entertainment and the media. In New York City alone, there are almost endless numbers of big enterprises that need protection, so a localised show is a natural, and doesn’t require the large pool of potential customers to travel away from their businesses. New York also has a large and active law enforcement community, and there are many large systems integrators that operate in and around the New York area. ISC East is a growing show that serves a large, unique audience. Growth of ISC East also suggests it is becoming more of a ‘super-regional’ event, drawing good attendance from the Southeast and Midwest in addition to the tri-state area. A total overhaul of care and safeguarding measures at Southern Health NHS Foundation Trust’s mental healthcare facilities was required following historic failures, including preventable deaths in 2012 and 2013. A root-and-branch reform programme was put in place to improve care, ensure transparency and cut risks. A comprehensive video surveillance solution was sought to underpin these efforts. The first phase project required complete video capture and recording at the Ravenswood House facility for children and adolescents, with further premises to follow in subsequent phases. Affordable surveillance system The surveillance system not only needed to cover all areas of the site but also needed to be affordable, secure against cyber-attacksSouthern Health had a critical need for continuous video evidence capture in all areas at Ravenswood House, in all lighting conditions, without blind-spots. The primary objective was to use the recordings of interactions with patients to improve standards of care, with clinical staff reviewing how incidents are handled, and protecting staff in the event of accusations of mistreatment. Because vulnerable young people are being cared for, any allegation of mistreatment requires that the staff involved are removed from front-line care duties pending investigations, therefore the ability to find and present video evidence quickly is vital. The surveillance system not only needed to cover all areas of the site but also needed to be affordable, secure against cyber-attacks in compliance with NHS requirements, quick to install – as the hospital had to remain in constant use – and easy for clinical staff to use as well as security specialists. Installation of 12MP Super Fisheye cameras The 12MP Super Fisheyes benefit from IDIS’s Smart Failover protection, which ensures continued recording even during network instability or drop-outHigh specification IDIS video technology was identified as the best for the project following a detailed on-site comparison which demonstrated its superior picture quality and ease-of-use. Specialist integrator ISD Tech was brought in to install more than a hundred IDIS 12MP Super Fisheye cameras. These units allow affordable, comprehensive area coverage, typically doing the equivalent job of three or four PTZ cameras. The result is lower installation fees, a reduced maintenance burden and affordable operation, recording the full scene without the need for an operator 24/7. The 12MP Super Fisheyes also benefit from IDIS’s Smart Failover protection, which ensures continued recording even during network instability or drop-out. And IDIS’s Korean-made technology uses proprietary protocols (not off-the-shelf) that makes it fully network-secure, allowing it to be linked to local LANs without the risk of system hacking, which is a key consideration for any IP surveillance solution. Easier and less costly installation The impact on staff is huge when they can’t work in the wards, so this speeded-up process is really valuable"The IDIS video solution was used to quickly and easily replace a previously-installed IP video system which comprised a mix of equipment from different manufacturers, and in comparison, it is easier and less costly to install, maintain and operate. “This will really assist us with evidence gathering and any criminal process. We can now look at the footage ourselves and quickly determine what happened. And we can email video links to the police and local authority designated officers. The impact on staff is huge when they can’t work in the wards, so this speeded-up process is really valuable,” said Tracey Edwards, Head of Security Southern Health NHS Trust. Following ISD Tech’s successful completion of the Ravenswood House upgrade, 250 more facilities across Hampshire are to follow, including clinics, medium secure units and admin centres. Boon Edam Inc., a global provider of security entrances and architectural revolving doors, announced that a recently renovated office space in Glasgow, Scotland, 191 West George Street, has installed Lifeline Speedlane Swing optical turnstiles for increased physical security and uncompromising aesthetics. A rising trend in the United Kingdom is the renovation of older office spaces. With a continuously growing workforce, cities across the country are transforming corporate offices into multi-level spaces with increased aesthetics. In keeping with this trend, the office space at 191 West George Street recently underwent a renovation. Revamped with space and simplicity in mind, the building’s atrium stands out due to its high-quality materials, including the sleek, Lifeline Speedlane Swing optical turnstiles used to control access to all occupants and visitors. Optical turnstiles integrated with access control The requirements were for an optical turnstile solution that could integrate with access control and had the versatility to control a large number of visitorsThe lead architect renovating 191 West George Street was Michael Laird Associates – a firm that flourishes in adaptable yet luxurious designs. Working directly with the architects, owners of the office space underwent a simple product selection process regarding security. The requirements were for an optical turnstile solution that could integrate with access control and had the versatility to control a large number of visitors. 191 West George Street is the home of a 6-level building with 87,000 sq. ft. of usable office space. The architects wanted to keep the look and feel of the entire building, open and clean, without any columns or other impeding structures. The designers chose a stainless-steel finish for the modern and sleek cabinets of the Speedlane Swing optical turnstiles to provide a perfect accent for the neutral white and mushroom colours of the lobby. Their minimal footprint allows them to integrate seamlessly into any location without being obtrusive to user access or aesthetic design. Lobby security solution All lanes can be controlled remotely via a device called BoonTouch that gives reception control to open or close lanes at any time191 was designed to be a bustling, flexible workspace for hundreds of daily users, and as space is rented and the building starts to experience higher traffic, the four lanes of optical turnstiles will be able to handle the load. Working in collaboration with Boon Edam’s sales and specification managers, the architect had a clear idea of what they were looking for in a lobby security solution. By reviewing a number of key elements related to security, throughput, aesthetics, safety, and technology, Boon Edam was able to map out all aspects of the entry requirements prior to selection and installation. The four-lane array of Speedlane Swing optical turnstiles includes a single, wide lane at the end. Wide lanes allow large groups to pass through as well as wheelchairs, dollies and luggage. All lanes can be controlled remotely via a device called BoonTouch that gives reception control to open or close lanes at any time. How do news reports influence opinions about security? When security topics become a part of current events, it is usually in a negative light. Security generally only becomes news when it fails, sometimes in a dramatic, high profile and tragic way. However, security failures can also shed light on lessons learned and opportunities to improve. Working toward better security can translate into the purchase of more goods and equipment supplied by our market. For additional insights into the intersection of security and current events, we asked this week’s Expert Panel Roundtable: Good news or bad news? How do news reports and/or current events influence the general public’s opinion of physical security? What role should consultants play in the security buying decision? The security industry is full of individuals who call themselves consultants. It’s a term that is thrown around rather loosely, and in some situations the term can be roughly translated as “between jobs.” But “real” consultants provide real value to their clients in a variety of subject matter specialties. We asked this week’s Expert Panel Roundtable: What role should consultants play in the security technology buying decision? Is your access control system as secure as you think?